Looking for some affordable, high quality training ammo? 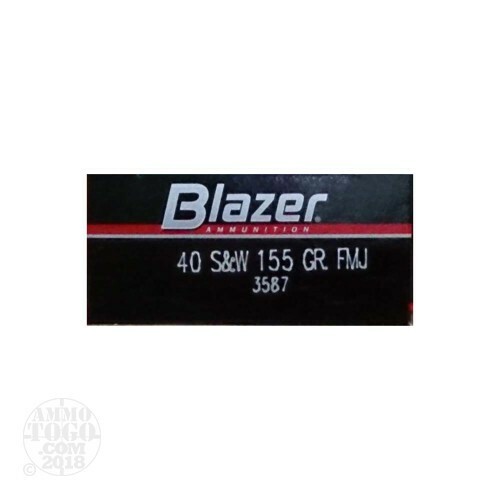 This 40 S&W CCI Blazer 155gr. Total Metal Jacket ammo is perfect for range training. Blazer ammunition delivers the ballistic uniformity, accuracy, reliability and power that service ammunition exhibits, at a reduced cost. The savings are in the cases. They are made from a high-strength aluminum alloy and are not re-loadable. 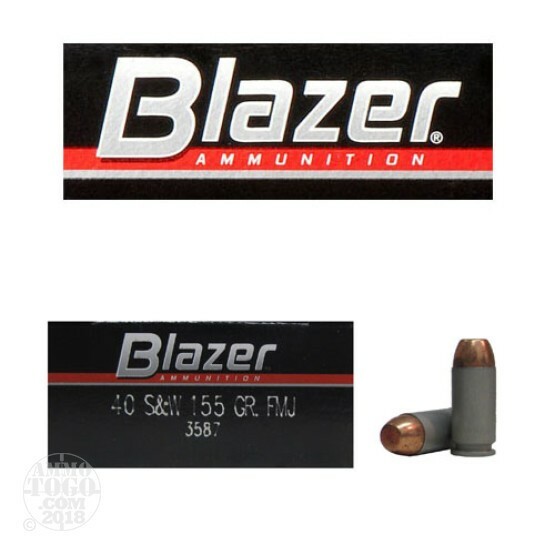 Give it a shot, you'll see why law enforcement agencies across America trust their training ammunition needs to Blazer ammunition. This ammo comes packed in 50 round boxes, with 20 boxes in a case.